Michael Douglas arriving at the C.I..D theatre, evening of friday 30 August for the opening of the 39th Festival of Cinema Americain. Steven Soderberg’s film Behind the Candleabra with Michael Douglas & Matt Damon was the opening screening. Amazing cameo performance from Rob Lowe, who plays a coked out plastic surgeon. American Film Festival ends Sept 8th 2013. 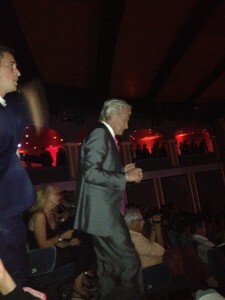 Michael Douglas looked well, joked about putting on weight, and was applauded by a large glamourous crowd of well wishers. 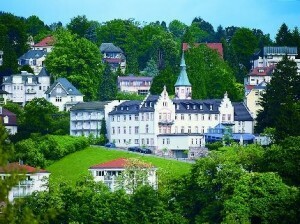 Baden Baden Beautiful Spa Town in the Black Forest. 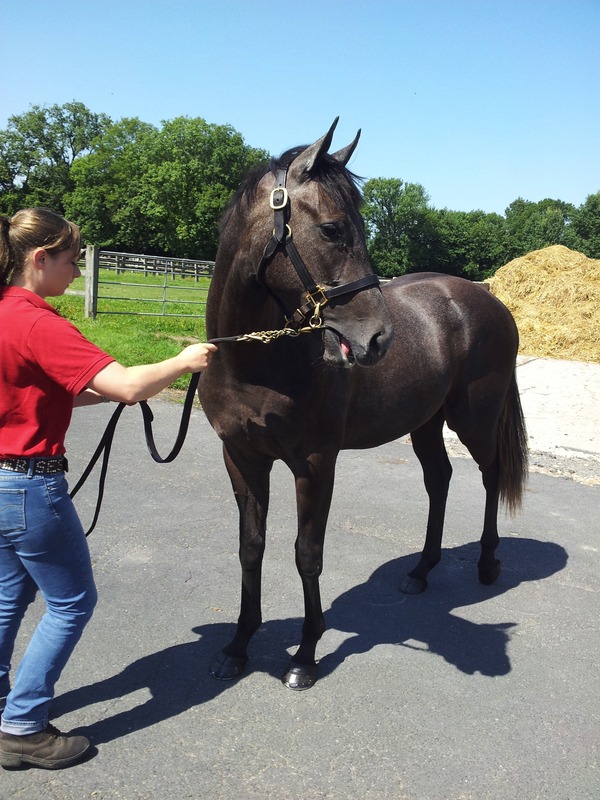 Yearling Race Horse Sales 30th August. We propose the Hotel Magnetberg. Hotel Normandy. Deauville. 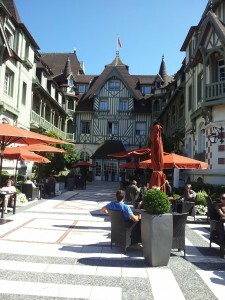 5 star Lucien Barriere Hotel Normandy, Tea on the terrace. Deauville 2 hours by train from Paris Gare St Lazare. NO NAY NEVER. American bred. Potential future champion race horse ? Top Investor M.V Magnier may think so ? £21.000.000. realised by Christies Asia week May 2013. Christies Auction House, Calling for Consignments call open till 30/08/13. Next London Asia Week 5/6 November 2013. Christies are inviting consignments until 30/08/13. For their Asia Auction week 5/6 November 2013. 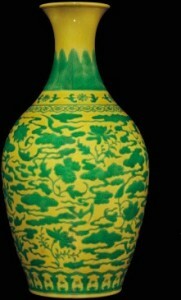 Christies May Asia week realised over Sterling £21.million. Image Christies. 34.682.000 euros. 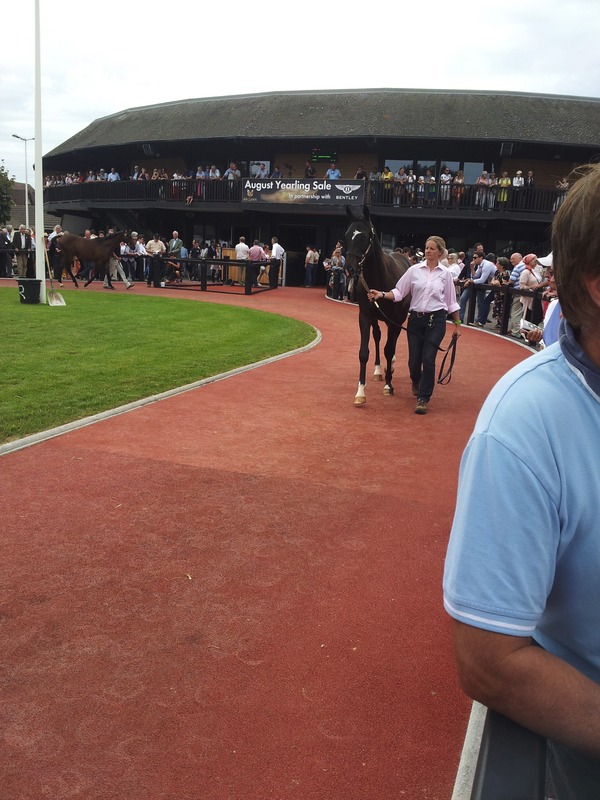 34% cumulated increase for the Arqana Deauville Yearling sales 2013. $.US. 27.500.000. Sensational Ferrari Spider. Designed by Sergio Scaglietti. 275 GTB/4. S.N.A.R.T. 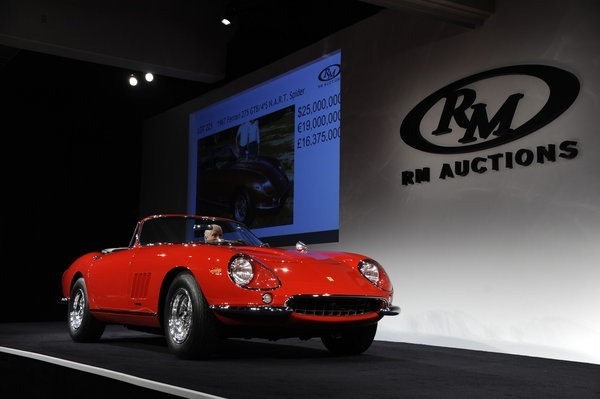 RM Auctions Monterey. $.US. 27.500.000. Record price bid at RM Auctions, downtown Monterey, California. 1967 Ferrari 275 GTB / 4 Spider S.N.A.R.T. designed by Scaglietti. 1967 Ferrari Spider 275 GTB, One of only 10 ever made . A red one actually featured in the Steve Mcqueen cult film, “The Thomas Crown Affair”. 3.2 liter. V12 with 6 Weber carburettors, making 300 horsepower. Sergio Scaglietti founded his design & coach building works in 1951, in Maranello, opposite Ferrari. Carrozzeria Scaglietti is also famous for the Ferrari Testa Rossa the uber sports car ever. The Scaglietti works are now owned by Ferrari. Mr Eddie Smith senior, a self made hosiery millionaire, bought the car for $US 14.500. when new, from Luigi Chinetti, legendary Ferrari importer. 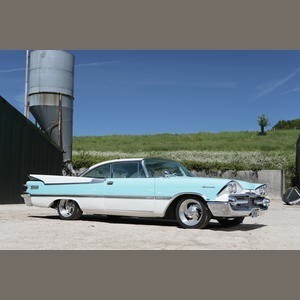 Mr Smith Junior announced that proceeds from the auction of the car will go to charities in Lexington, North Carolina, and the Smith Family Trust. Image & Thanks to David Undercoffler @ The Los Angeles Times. RM Auctions. Lot 163. An exciting struggle for Australia based Irish Agent, James Harron to acquire Lot 163, daughter of Dubawi, presented by Coulonces Consignment, for 1.500.000. euros, Mandore Intl Agency was the under bidder. The second top price, of the evening, 1.000.000.euro, was attained by Ecuries Monceaux for Lot 99. Michael Magnier, of Coolmore’s, strategy was the winning one as he fought off strong competition from the Agent Davis Redvers. 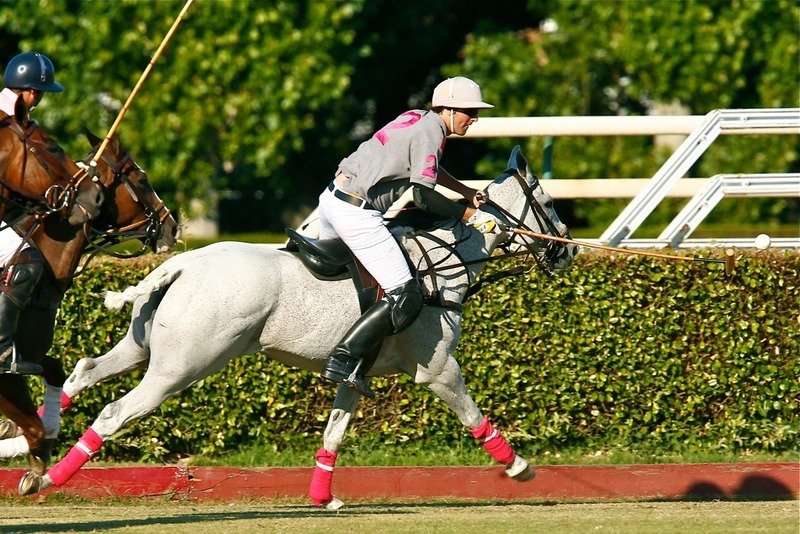 bidding on behalf of Sheik Fahad Al Thani, & who also selects for the Russian Owner, Rashit Shaykhutdinov. 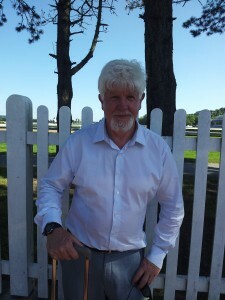 Pascal Bary the French trainer acquired lot 132 for 500.000. euros presented by the Haras de la Reboursiere et le Montaigu. Pascal Bary acquired from the v.successful Ecuries Monceaux Lot 101,for 400.000. euros. 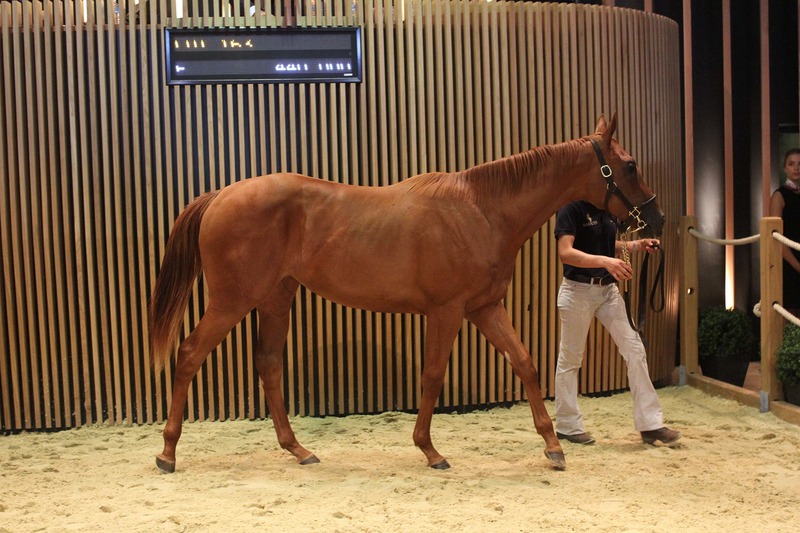 Sheikh Bin Khalifa Al Thani’s ,Equipe, Al Shania, were installed in the restaurant with the French Agent Thierry Delegue (YES) Arqana continued its succesful sales with a 73% of horses bought. Net progression on last year’s trends with a 35% increase on average prices. 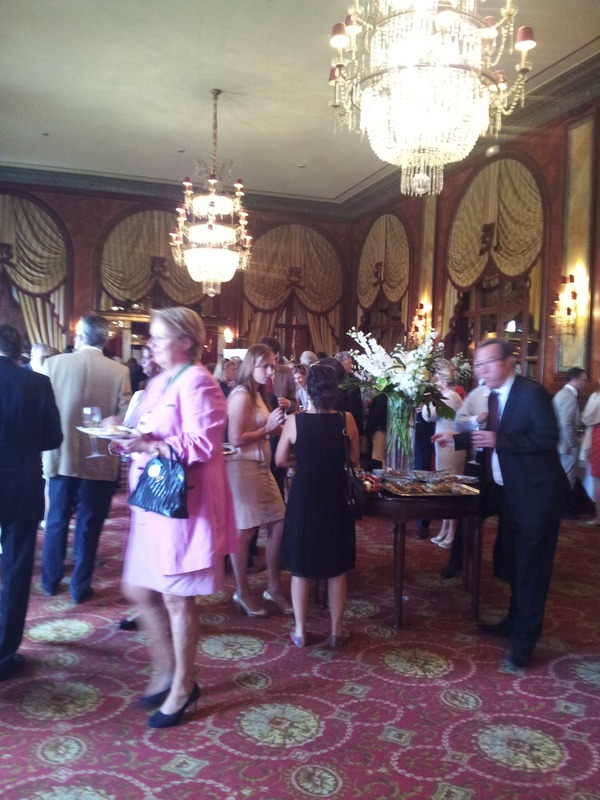 Buyers from Dubai, Qatar, Saudi Arabia, Russia, Kazakhstan, S.Africa, Australia, Japon, Ireland, UK, USA, Latin America. 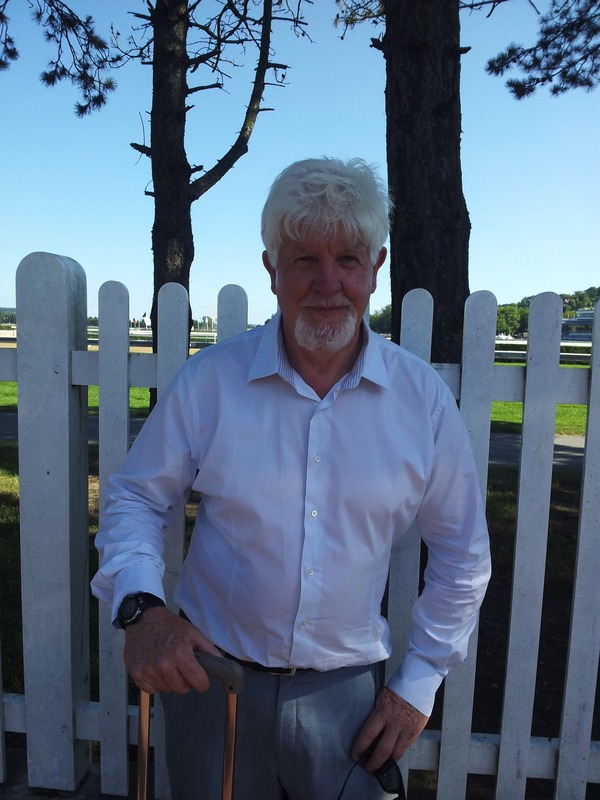 18/08/13 TOP 5 BUYERS:- James Harron Bloodstock 1 Lot 1.500.000.euro Michale Vincent Magnier 1 Lot 1.000.000.euro Pascal Bary 2 Lots 900.000 euro John Ferguson Bloodstock 3 Lots. 840.000 euro Mandore Intl Agency 3 Lots 780.000 euro. Cumulated figures for top 5 sales :- Ecuries des Monceaux 13 Lots. 4,320.000.euro Hara des Capucines 12 Lots. 3.210.000.euro Coulonces Consignment 11 Lots 3.135.000. euro Haras du Mezeray 9 Lots 2.605.000. euro Ballylinch Stud 4 Lots 1.560.000. euro Image ARQANA Ventes Deauville. Yearlings 2013. 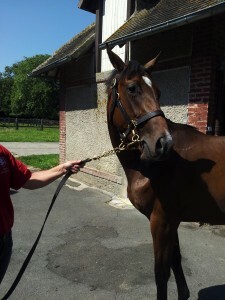 Dubawi / Hit the Sky. Presented by Coulonces Consignment. 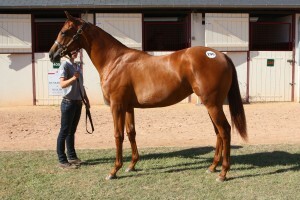 Bought by James Harron Bloodstock. Australia. CHIQUITA. 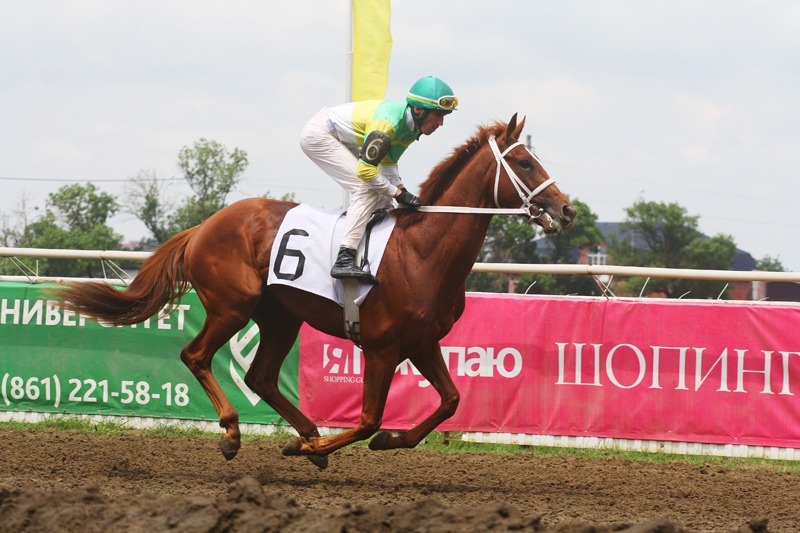 SINNAMARY ET AL ……….RACING LEGENDS IN THE MAKE…. 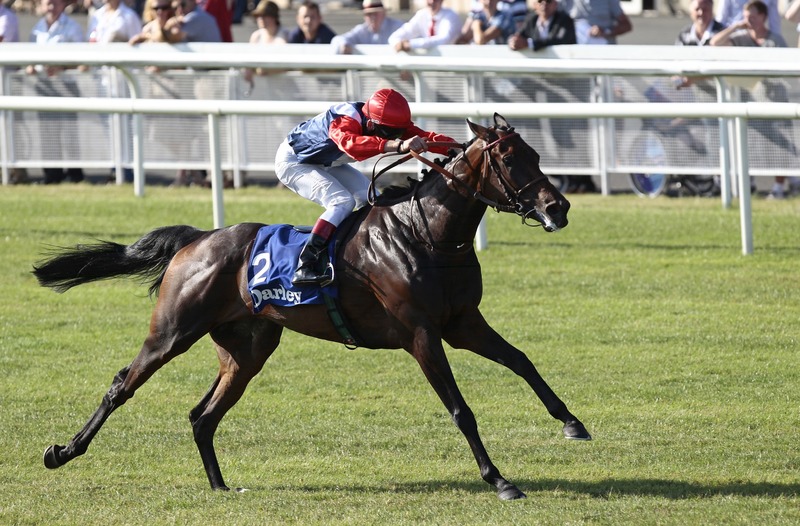 Chiquita winning the emblematic race, the Darley Irish Oaks. With famous Irish jockey aboard, Johnny Murtagh, @ The Curragh. 20/07/13. Photo Patrick McCann. This result offers her owner Australian,Paul Makin a magnificent win. 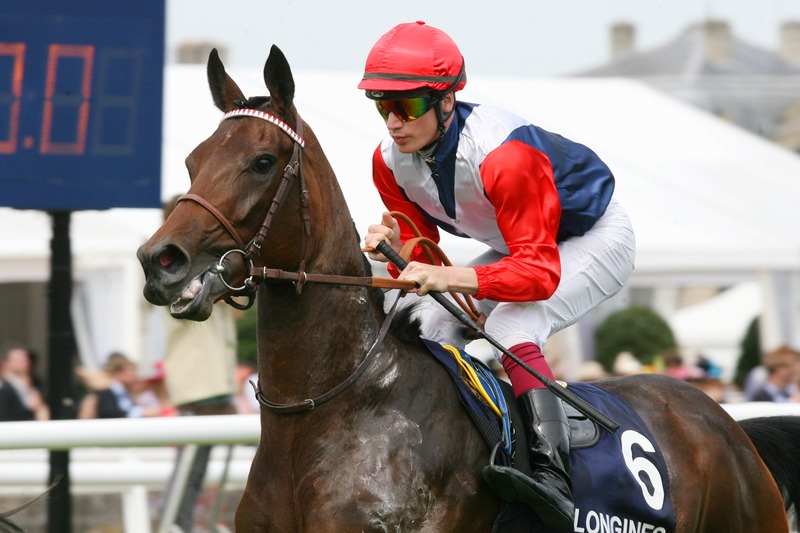 Chiquita, daughter of Montjeu & Prudenzia, was bought by Badgers Bloodstock for 600.000. euros , from Ecuries Monceaux, at the Deauville Intl Yearling sales 2011, organised by Arqana. This win represents the 4 th Classic Race win by the Arqana Yearlings. 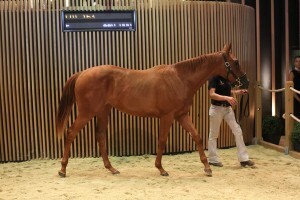 As,Style Vendome & Flotilla, from Arqana Yearling sales were successful at Longchamps race course, “Poules d’Essai”. Treve bought at the October 2011 Yearling sales realised the immense exploit of winning the ultra chic Prix de Diane Longines. The brothers & sisters of these young Racing Champions feature in the Arqana catalogue for the Deauville Intl Yearling sales, 2013. 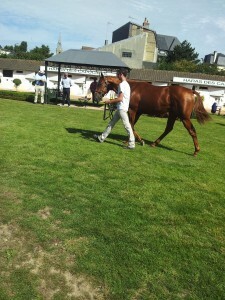 LOT 33 HALF SISTER TO CHIQUITA par GALILEO, presented by Ecuries Monceaux is expected to sell for a record price. LOT 30, half brother by KENDARGENT/STYLE VENDOME, presented by the Haras de Colleville. 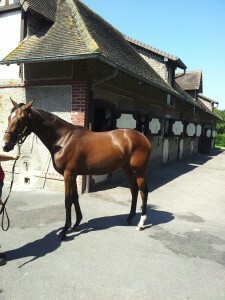 LOT 185 half sister de FLOTILLA by HIGH CHAPARRAL, presented by the Haras des Capucines. Related to Chiquita. SINNAMARY, Ecurie Monceaux, the sister of CHIQUITA, was sold in 2012 for 1.100.000 euros at the ARQANA Deauville Intl Yearling sales in 2012. The Marquise de Moratalla bought SINNAMARY, FOR THE 2ND TOP PRICE OF THE SALE. & Before it was realised that CHIQUITA was a great,if unwieldy, racer. CHIQUITA has immense personality & potential. 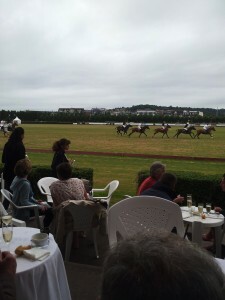 Coupe d’Or Deauville Polo match. 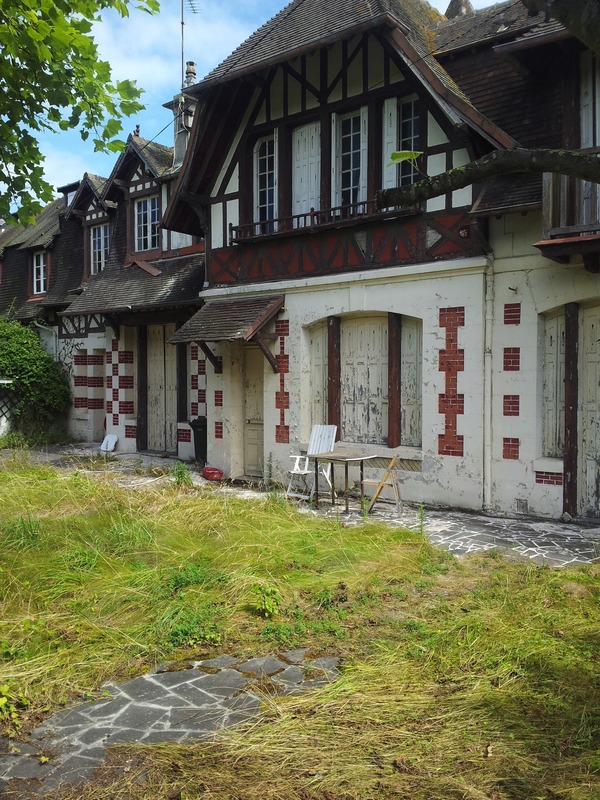 A few minutes from the sea in Deauville. Tuesday 13/08/13. Talandracas / Body Minute. A sensationally exciting match. Talandracas 2/3. 2/4. 6/5. 9/8. 11/10. 13/13. 14/13. 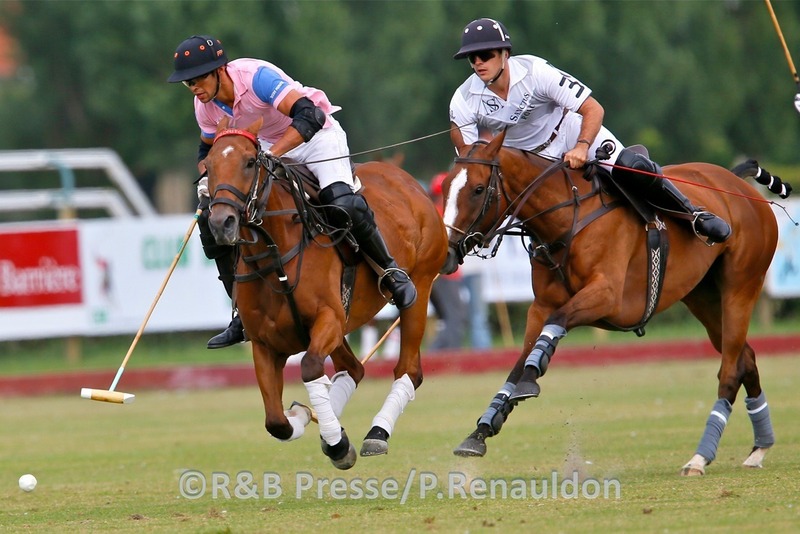 Lucien Barriere Deauville Polo Cup 2013. Images copyright R&B Presse. Pascal Renauldon. Ecuries Monceaux showing to prospective buyers. Ecuries Monceaux very busy showing to prospective buyers of the young future race horses, pre Intl Yearling auctions 17/18/19 August 2013. Deauville Yearling sales organised by Arqana. Bentley motorcars new continental model “Flying Spur” are popular in Deauville, to judge by the car parks of the race courses. Bentley Motorcars may have only just introduced the fabulous new continental model Flying Spur, but the Owner’s car parks at the Deauville race courses are already familiar places to admire them. Arqana who organises the Intl Yearling sales are giving a party on friday evening, as joint hosts with Bentley. “Have cheque book “Vintage Mulliner lovers ” will drive”………………Used to own a Mulliner S3. 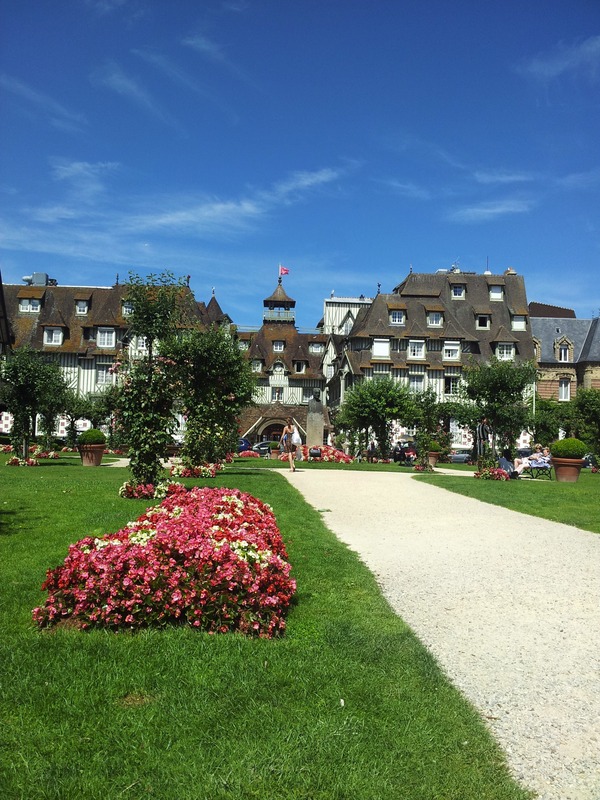 We would suggest that the drive from Deauville to the charming port Honfleur is one of the prettiest in Normandy. & the drive to the Port of Le Havre takes you over the sensational, recently constructed Normandy Bridge. Dreamkeeper’s sister will be presented by Monceaux Ecuries at the 2013 Deauville Intl Yearling sales. Sunlit Golden sands stretching out to the sea & the Estuary of the river Seine. View of the sunlit golden beaches stretching to the sea,white sails, &, in the distance, the view of the Estuary of the Seine & the port of Le Havre. 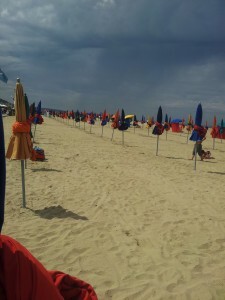 Typical colourful Deauville Parasols. Deauville resort, 2hours by train from Paris Saint Lazare station. 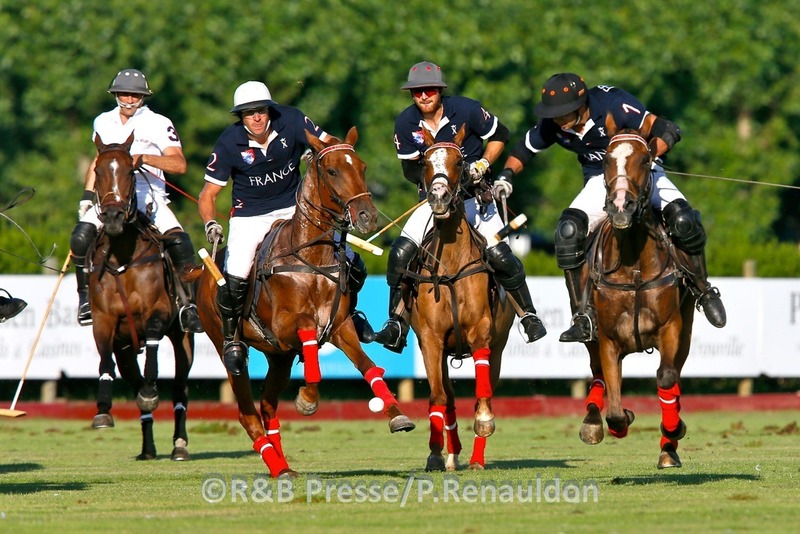 Polo Coupe d’Or Deauville 13/08/13. Lucien Barriere Deauville Polo Cup. 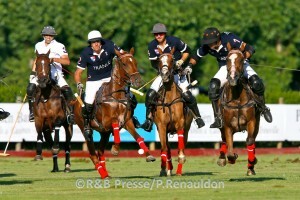 Talandracas playing against Body Minute. TALANDRACAS 2/3. 2/4. 6/5. 9/8. 11/10. 13/13. 14/13. Images copyright R&B Presse. 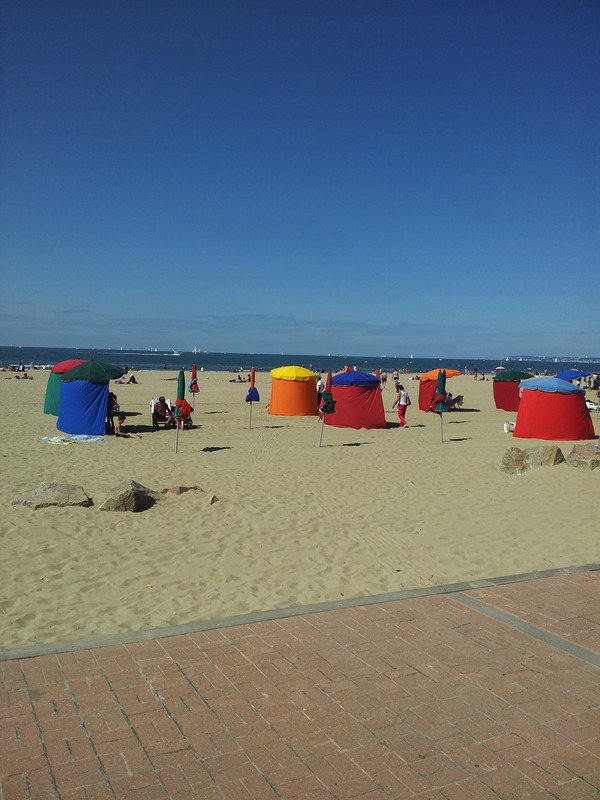 Pascal Renauldon Deauville is a delightful seaside resort 2hours by train from Paris Saint Lazare station. Deauville seaside resort. 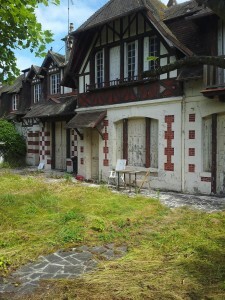 Typical Normand Villa “a colombages”. 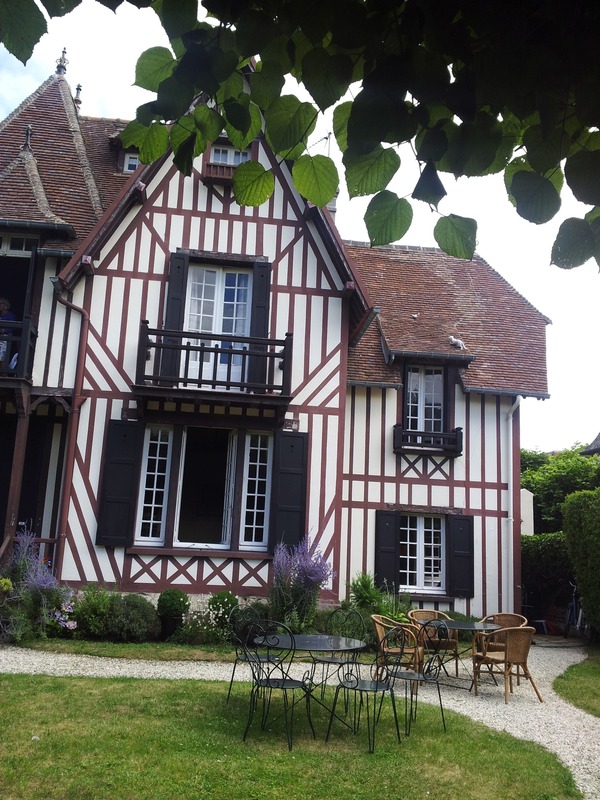 (with wooden beams) Prices per sq metre compare to Parisian prices, & Deauville is known as the 21st Arrondissement as it is so popular with Parisians. 2hours by train from Paris Gare St Lazare. 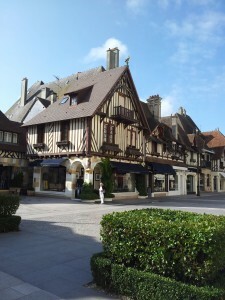 Ralph Lauren Boutique opposite Deauville Casino.Normandy France. 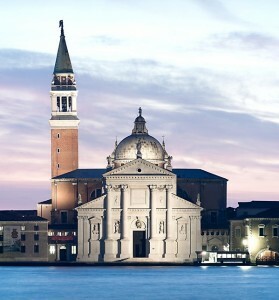 One of the most attractive luxury shopping areas in Europe. Ralph Lauren boutique opposite the Casino in Deauville, Normandy France. 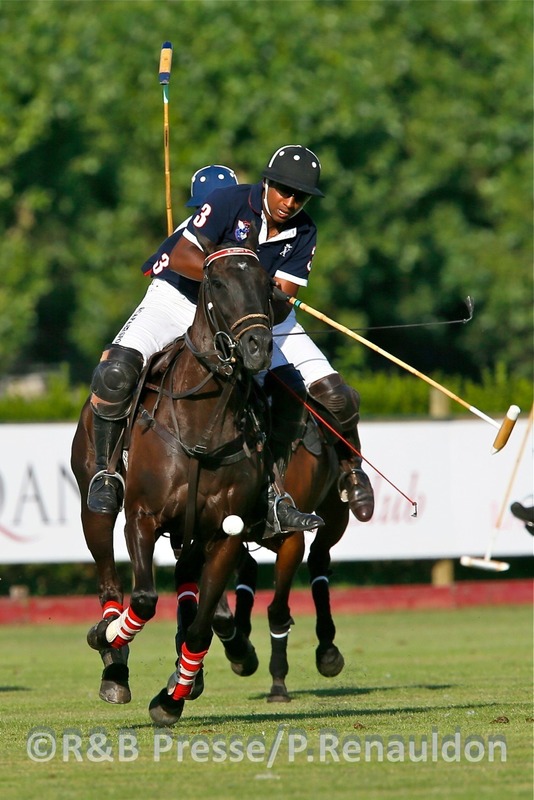 Set in one of the most attractive luxury shopping areas in Europe.Ralph Lauren whose brand is synonymous with “Polo”. 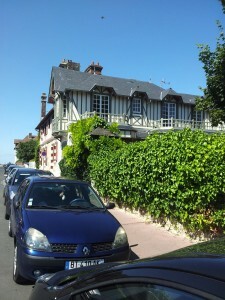 A typical normandy beamed building decorated with hanging baskets of geraniums and traditional ceramic animals on the roof. Deauville. 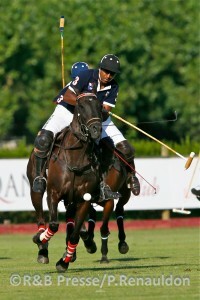 Polo Championship. 63rd Gold Cup. Deauville, in Normandy, France, a chic seaside resort, a 2 hour train journey from Paris St Lazare train station. Images Copyright. R&B Presse. Pascal Renauldon. Anything Horsey is the place to go for Anything Horsey. Le Quesnay Haras, Normandy, one of France’s Premier Haras. Focus pre “Yearling Race Horse Auctions” feature. 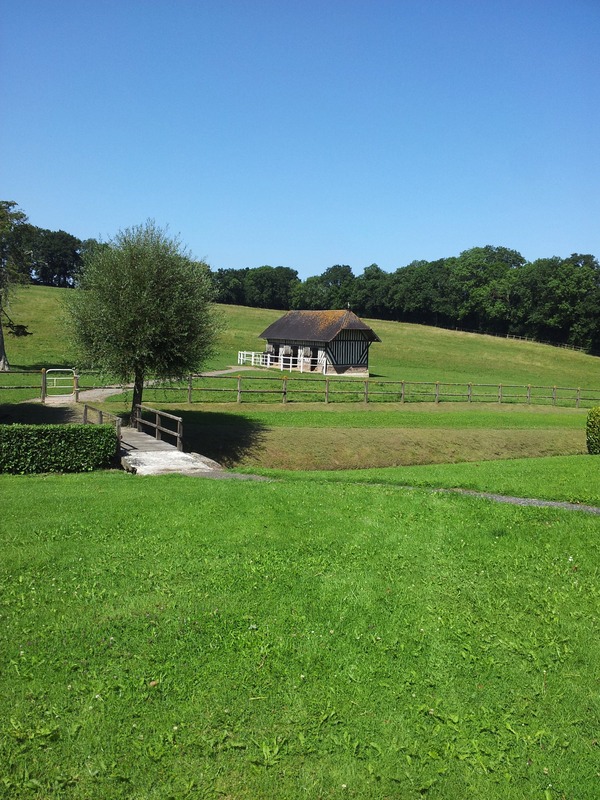 Fairytale, ancient parkland setting for the enchanted world of horse breeding & horse racing…..the Sport of Kings. 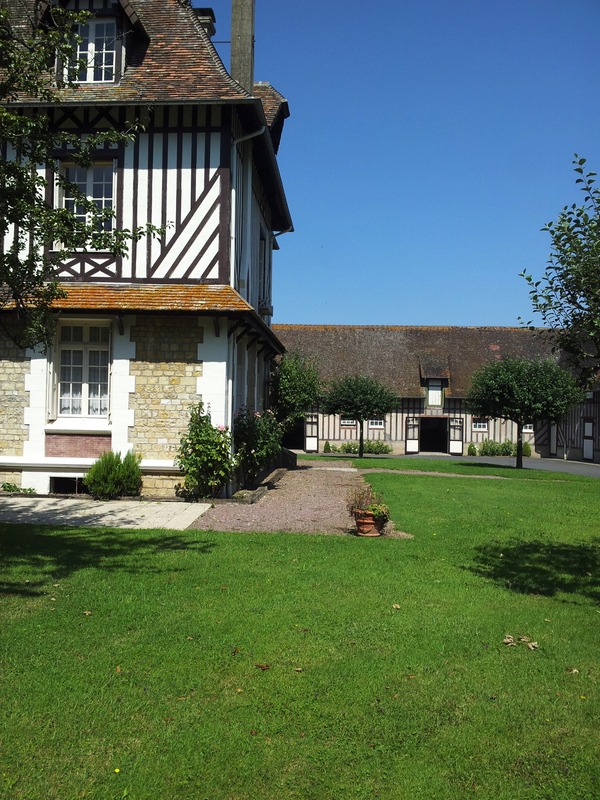 Le Quesnay Haras, Pays d’Auge, Normandy. 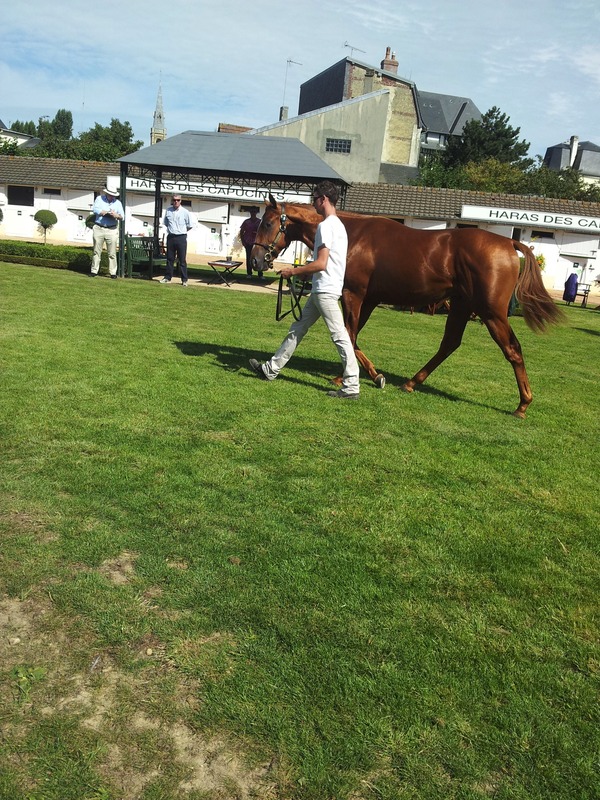 A cosseted “Treasure” one of the future race horses about to be auctioned at the Deauville International Yearling Sales, 17/18/19 August 2013. Le Quesnay Haras, Pays d’Auge, in Normandy. A Bay, “Treasure”, after being cosseted, & bathed, waiting patiently to be presented at the Auctions for future race horses, the Deauville International Yearling Sales. 17/18/19/ August 2013. 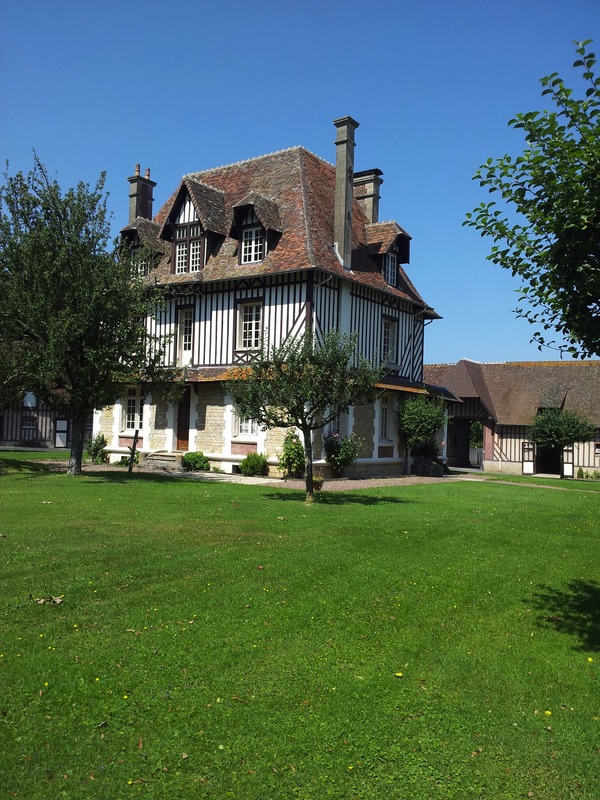 Le Quesnay Haras, Pays d’Auge in Normandy. The roan, “Gadalka”,relaxed and fit, ready for the auctions for future races horses, the Deauville International Yearling Sales, August 17/18/19 2013. Le Quesnay Haras, in Pays d’Auge, Normandy. The roan “Gadalka” quite happy as preparations continue for the future race horses presentation at the Deauville International Yearling Auctions, 17/18/19 August 2013. Le Quesnay Haras. Pays d’Auge in Normandy. 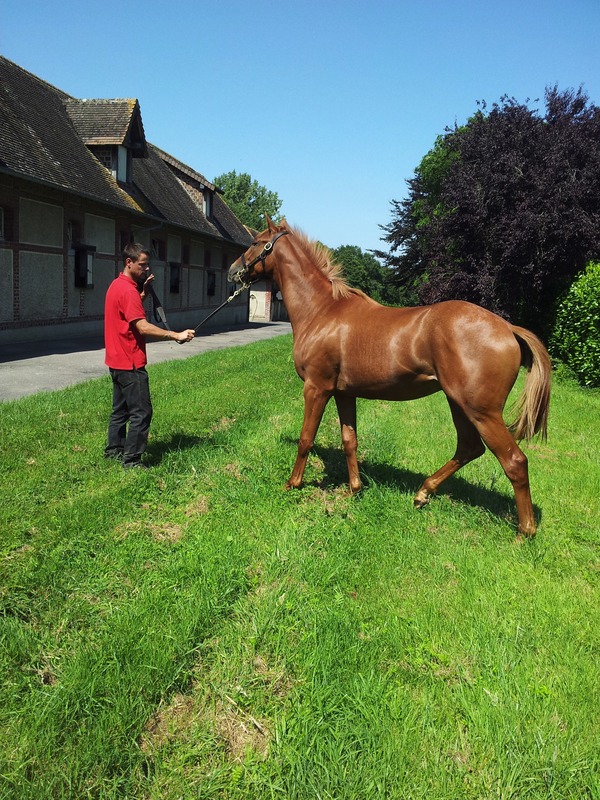 “Dissertation”, a gleaming chestnut, future race horse, is being prepared to be auctioned at the Deauville International Yearling sales. 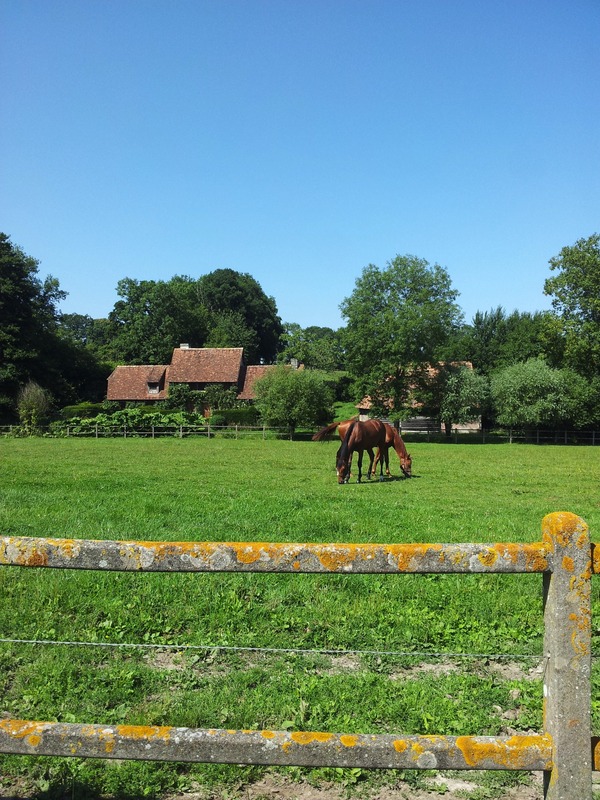 Le Quesnay Haras, Pays d’Auge, in Normandy. 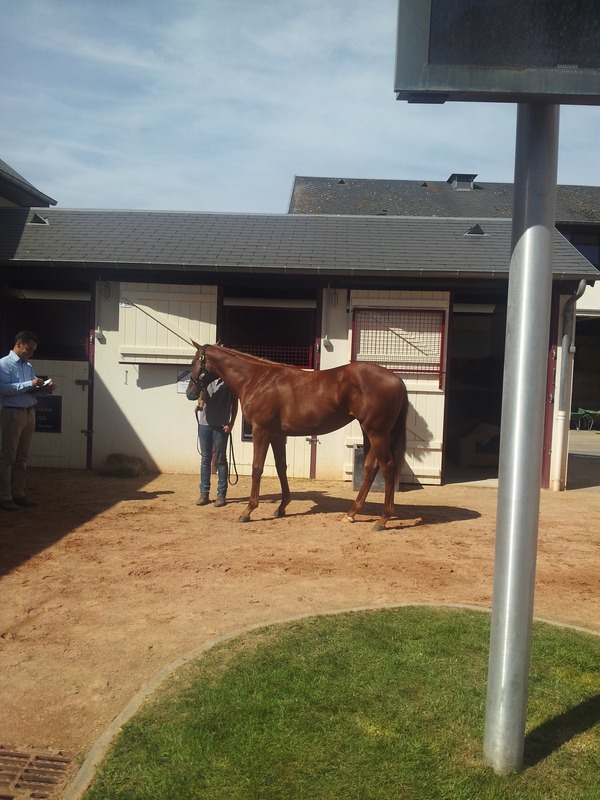 “Dissertation” a gleaming chestnut, getting ready to be presented at the famous Deauville International Auctions for future race horses, the Yearling sales. Deauville 17/18/19 August 2013. Le Quesnay Haras, Normandy. 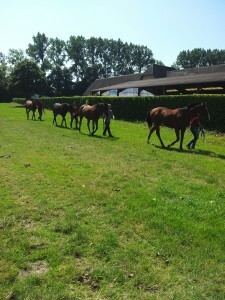 A file of Yearlings coming in from exercise. 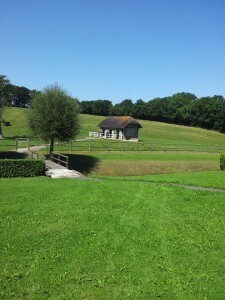 Le Quesnay Haras, Normandy. The Yearlings coming in from their exercise. Le Quesnay Haras, Normandy. Local farrier shoes the Yearlings before next week’s sales. Haras le Quesnay, Normandy. 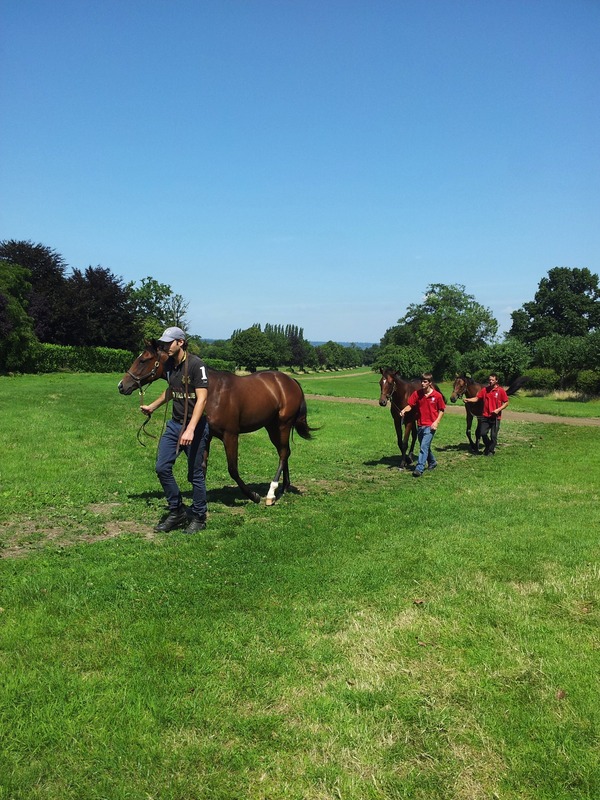 The local farrier comes out to shoe the Yearlings before next week’s sales. 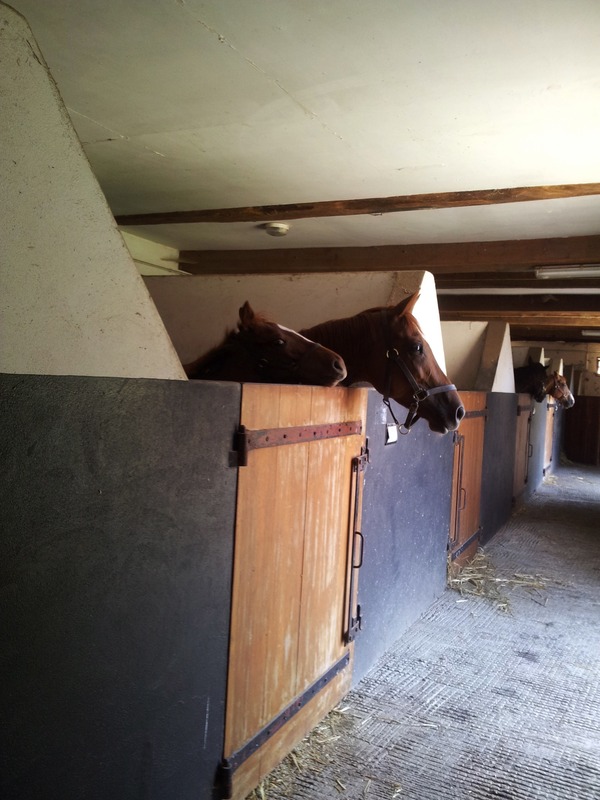 Le Quesnay Haras, Normandy. La Toilette du Cheval. Horses being cared for. Haras Le Quesnay. Normandy. La Toilette .Horse’s face being washed.The horses are cared for like babies. Haras Le Quesnay, Normandy. 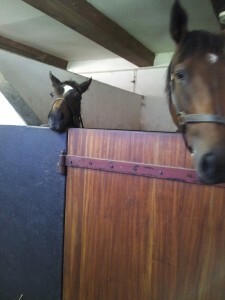 Mares & Foals share their stable. Haras le Quesnay, Normandy. Mares sharing their stables with their 4 month old foals. Le Quesnay Hara, Normandy. Yearlings coming in from exercise. 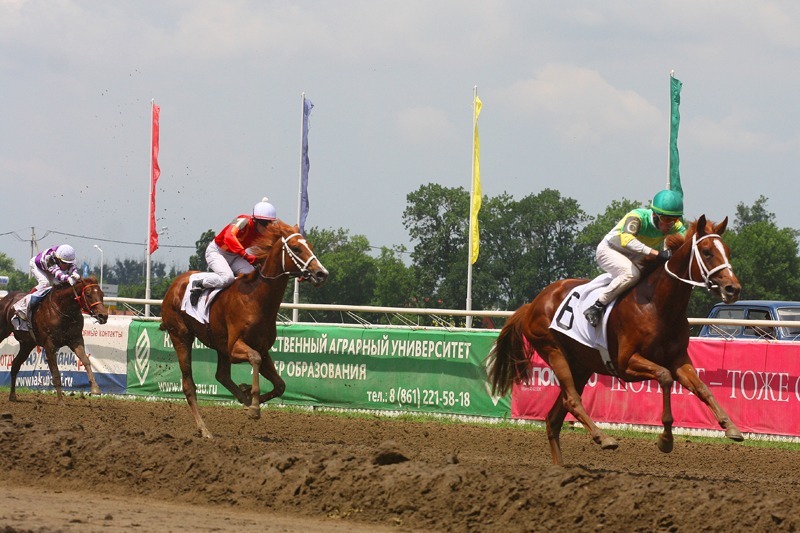 The future race horses are exercised every day, forming their muscles so that they are in good form when they are sold at about 18 months old. Le Quesnay Hara, Normandy. Grazing meadow. Le Quesnay Hara, Normandy. A grazing meadow. Le Quesnay Hara, Normandy. Foals in Meadow. Deauville. 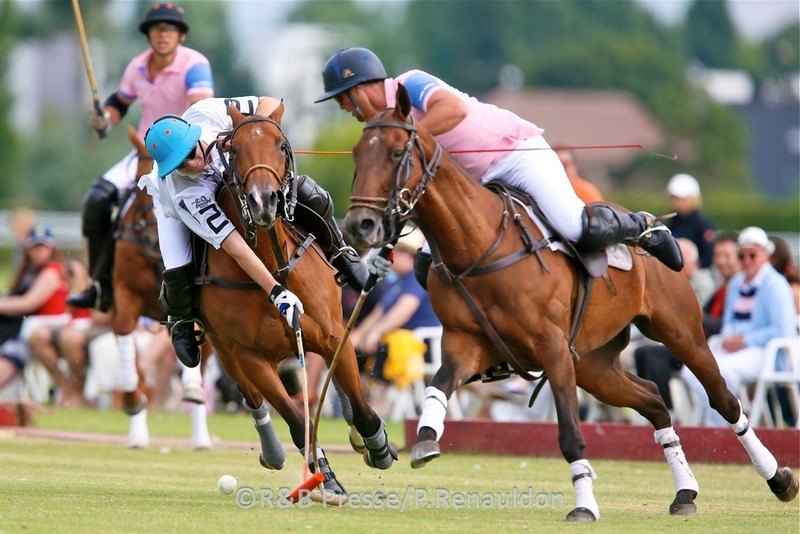 Lucien Barriere Deauville Polo Cup, matches during August 2013. Deauville by the sea,typical Normandy villa. 2 hours by train from Paris. Delightful seaside resort, with a plush Gaming Casino. 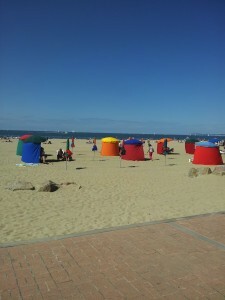 Deauville, seaside resort 2 hours by train from Paris St Lazare station. 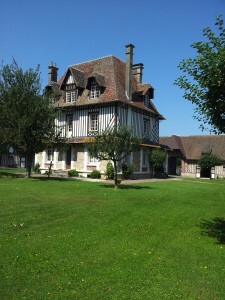 Typical Normandy villa. 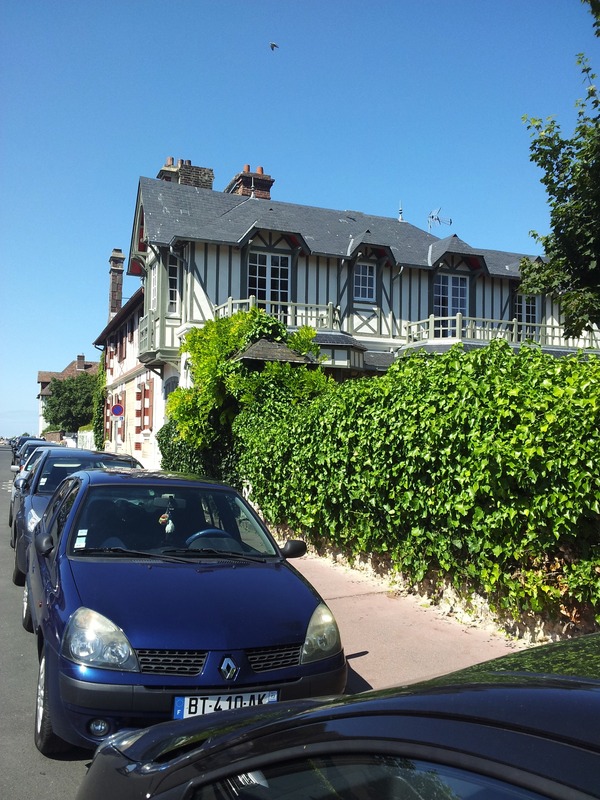 Deauville is on the the English Channel, La Manche, it is a resort that is popular all year round, and has a very elegant Belle Epoque Gaming Casino. 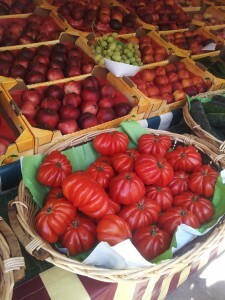 Deauville Market. Local Farmers from the region come with fresh produce every day in August. Deauville bracing seaside resort, on the English Channel, 2 hours by train from Paris. Hotel Normandy. Deauville. Bracing seaside resort on the English Channel. Hotel Normandy. 2 hours by train from Paris, Gare St Lazare. Deauville is a pretty town full of “Belle Epoque” villas. The Hotel Normandy in Deauville is open all year round. The Sunday Buffet Brunch @80 euros per person is a popular rdv. 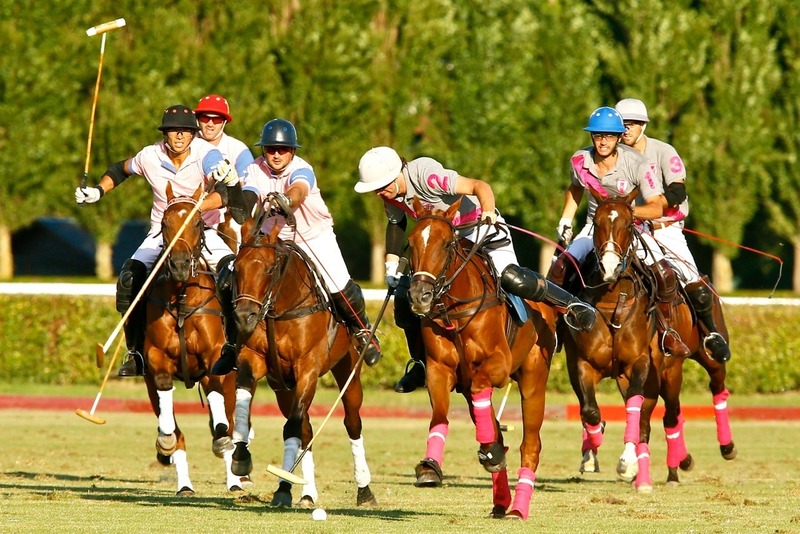 Many sporting activities Horse racing,golf, horse riding,tennis, swimming. Many Boutiques for luxury shopping. Deauville, in Normandy France. 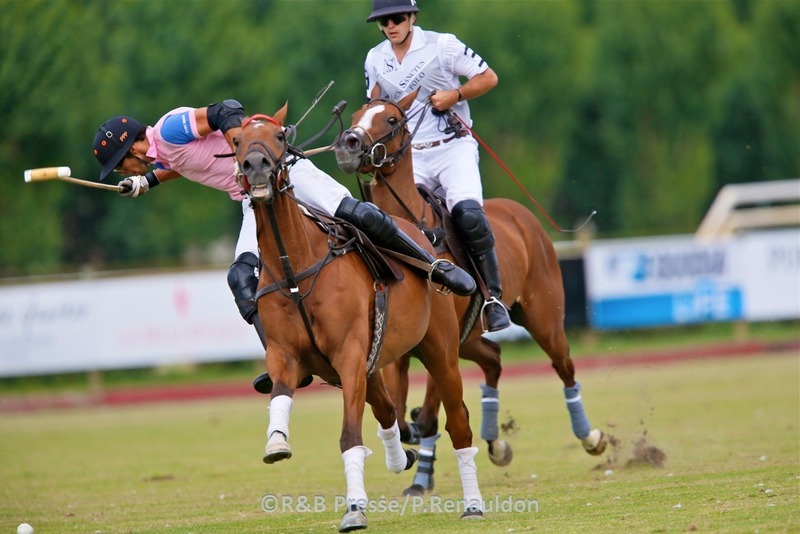 Lucien Barriere Deauville Polo Cup 2013. Deauville, in Normandy in France. 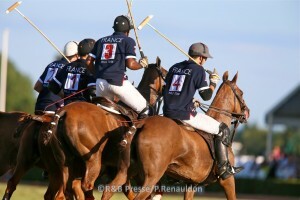 Lucien Barriere Deauville Polo Cup.